Find landscaping products at Landscapers Paradise. Arcadia Limestone is your premier rock and ag-lime company in Iowa. In addition, we offer landscaping products to make your yard beautiful. 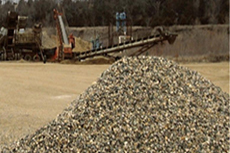 We have many sand, gravel, limestone, and rock products to assist you in any building project you might have. Our experienced staff offers prompt, excellent service with quality products in a friendly manner. For all your sand, dirt, rock and ag-lime needs in Western Iowa. We have got you covered! 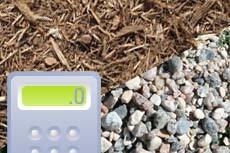 It is hard to determine how much mulch, sand, gravel, or rock you will need for your project. We can help you with that! Arcadia Limestone Co. wants to make sure you have all the tools you need at your fingertips. We have provided an online rock calculator to help you calculate tonnage of material for your project. We have four quarry locations located around West Central Iowa including our headquarters in Arcadia. This allows us to ecomonically source most of our materials as well as helps us streamline our delivery processes. Click below to take a look at all of our local quarry locations. 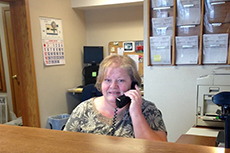 Our staff is committed to providing the best customer service around. If you have a questions regarding landscaping, materials, or even where to start on your landscape makeover or driveway- reach out to us. We'd be happy to assist you every step of the way. The only questions we can't answer are the ones you don't ask! Our family went into business in 1971 with the creation of Arcadia Limestone Co. In the beginning we mostly did business with farmers by hauling and spreading AG-LIME and gravel. Today with the experience of the members of our company, we are producers of sand, gravel, and natural rock, and we have our own quarry locations. We have worked on projects with contractors, the county, and the state. Our Arcadia Location is where our main office can be found. We own two gravel pits. One is the Eich Pit and the other is the Wright Pit. Once you have had a chance to look over the different options of gravel, sand, limestone and natural stone that we carry, you can go to the rock calculator on our site and get started planning your project. You will need to know the area in sq. yards of the place you plan to use the loose rocks or sand. Next to keep your project moving, you can place an order online. Just be sure to fill in all boxes so that we can insure your order is correct. As always you can call us and one of experts will help you decide on the right product from our rock quarry in Iowa, amount needed, and set up delivery to your work site. We want to make any space the best that it can be. Give us a call and we can meet with you or your company to move forward on the project that includes Iowa aggregate producers at Arcadia Limestone Co.
At Arcadia Limestone we have a variety of Limerock, Natural (Native) Rock, Sand and Gravel. See our vast list of products. Whether you are building, landscaping or top-dressing your driveway ~ we have the products you need. We are your rock and AG-Lime specialists. No job is too big or too small! For all your building and agriculture needs, we have got you covered. Customer service is our top priority! Get the AG-LIME edge! Improve your soil quality for better yields. Our spreaders can apply your AG-LIME using a Varied-Rate or Straight-Rate spread.